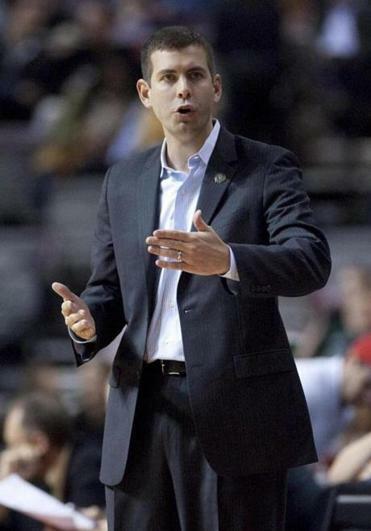 WALTHAM — Brad Stevens replayed the shot over and over, maybe 20 times on film. “I was like, ‘Just go in!’ — hoping that it would,” the Celtics coach said before practice Monday. But Jerryd Bayless’s potential go-ahead 3-pointer in the final seconds of Saturday’s loss to Detroit did not go in, resulting in yet another narrow loss. As the Celtics’ season nears its end with just five games left, Stevens said that in the big picture, “what bothers me” is those close defeats. He has many to choose from. The Celtics have had 46 games in which they were within 5 points of the opponent (either leading or trailing) with less than five minutes to play. But all too often — as their overall record indicates — they have fallen short. More often than not, the Celtics simply haven’t made key plays late. Stevens is in new territory with the Celtics having been eliminated from the playoffs. There is no “pot of gold” to shoot for, as he put it. Now, he wants his players to dig deep. “How you get there and how you got into this game was you loved playing the game,” he said. “And you do it at a park on a Sunday or you do it at an open gym on a Tuesday night at 9 and then drive to another open gym right after that and play again. Stevens doesn’t believe any of his players have checked out, although he acknowledged that it might have looked that way in recent losses to Washington and Philadelphia. “Most of the season, you could argue that they haven’t had that look,” he said. Avery Bradley, who has missed three straight games with a strained right Achilles’, was expected to participate in practice and is likely to play Wednesday when the Celtics face the Hawks in Atlanta. Jared Sullinger sat out practice with a bruised thigh muscle but is expected to participate in Tuesday’s practice as well as in Wednesday’s game. Sullinger suffered the injury in the loss at Detroit. Kris Humphries sat out practice with a patellar tendinitis in his right knee and is questionable to play Wednesday. Humphries missed Saturday’s game. Despite Bradley being in and out of the lineup since January, Stevens again said they don’t plan to shut the guard down for the season. “There is no talk of shutting anyone down. Nope. None. Zero,” Stevens said. The Celtics have two ex-Kentucky Wildcats on their roster in assistant coach Walter McCarty and point guard Rajon Rondo, so naturally, they have engaged in trash-talking leading up to Monday night’s NCAA men’s championship game against Connecticut. “I put my headphones in whenever [Rondo] starts talking about Kentucky,” Stevens said, joking. Forward Jeff Green played alongside Connecticut coach Kevin Ollie with the Oklahoma City Thunder in the 2009-10 season. And Green said he’s not surprised to see Ollie thriving as a coach. Having coached in two NCAA title games with Butler (2010 and 2011), Stevens remembers well what Championship Monday is like. “Long [day], long — you’re like, ‘Can we please just play the game?’ ” said Stevens. “The first time our guys played in it, we were in Indianapolis. They went to class in the morning. It was probably great, because it provided some normalcy, although I don’t know that class was all that normal that day, from what I heard.